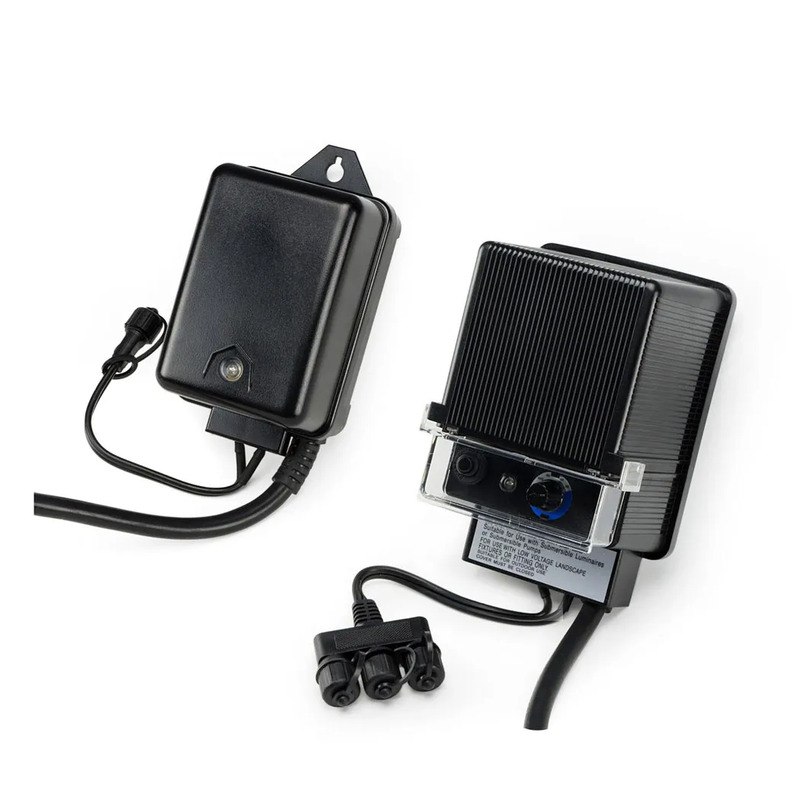 Garden and Pond Transformers with Photocell - Aquascape, Inc.
Make lighting your water feature or landscape quick and easy with the Aquascape Garden and Pond Transformer with Photocell. Aquascape low-voltage transformers provide an economical solution for operating halogen and LED lighting fixtures. The transformers include a photocell that turns lights on at dusk, and the Garden and Pond 150-Watt Transformer allows you to set the lights to 4, 6, and 8 hour intervals. Each transformer also includes a Quick-Connect fitting, making installation easier than ever.